What is the biggest risk in any venture? Hands down, it is attracting and retaining a motivated, competent team. A group of people who trust each other, share the vision and possess a range of skills needed to make a new venture work. Having a team that has worked together in the past is a rare but much-prized feature of any new company. Recently, I came across an approach that re-creates, to a degree, the effect of such a well-gelled team. Imagine a venture creation scenario that starts with a high-growth (and, even better, a glamorous) industry, some clearly defined company objectives (things like profit margin, high/low technology and infrastructure investment) and several product concepts for specific market segments. After testing the market and validating your product assumption, you need a team to deliver it all: products, efficient operations and investment capital. There is no business plan yet but this approach creates every function within the company at once. The business plan will be written by a group empowered to run the company. The following fascinating and apparently well-tested approach to team building was adapted from Richard White’s iconic book, “The Entrepreneur’s Manual“. First, identify three to five candidates for each key position in your startup company and invite them on a two-day retreat. There may be as many as 20-25 people at this event, which is usually held in a hotel conference room. This six-step method is particularly effective because it allows each candidate to select bosses, peers and subordinates. Introduce the business concept and vision to everyone over breakfast and explain that they will help choose the founding team over the next two days. Let each candidate share a 10-minute biography with the group, including their key accomplishments and goals. 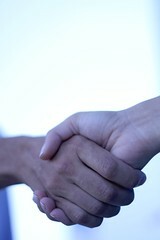 After lunch, ask each candidate to interview every other candidate, one on one, for about 10 minutes. This will take several hours. Group the candidates into departments (marketing, development, sales, finance) and assign each team to establish department goals, objectives and budgets for the next three years, then present the plan to the larger group. Give each candidate an individual assignment. After two hours, let them present their plans and ideas to the entire group. Finally — and this is the most interesting step — after getting an “in-depth feel about every other candidate’s total capabilities and team chemistry” the candidates are now asked to cast a secret ballot about who they think should fill each position in the founders team. Potential Venture investors could be invited to participate as well.